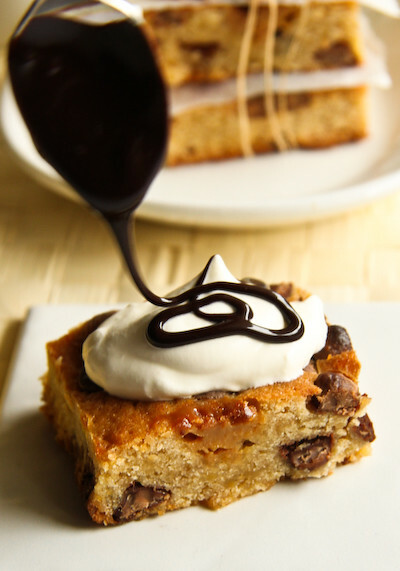 And as a lucky taste tester of these blondies, I also have to concur... OMG! I can't believe that you baked them at 9pm and they survived the night for you to be able to photograph them. If I had made them - they would not have made it past 12 midnight. wonderful idea and who doesn't love using us stuff that's been hanging around the pantry for awhile? Deeelish! OMG!!! This looks great! thanks for the recipe!!! HAHA You're so cute! I think I would have done the same taking pics of something friggin' awesome as this. Banoffee anything is a win for me. Looks like an awesome recipe and some great photos too. Never would have thought to whip dulce de leche. Thanks for the tip! oooh baby! banofee! blondies! awesome! 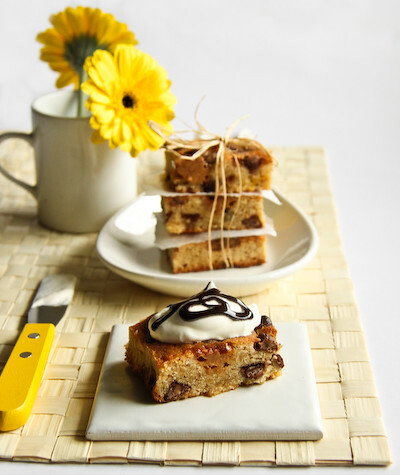 What an amazing combination of flavours and an excellent way of using up ingredients! I was recently given dulce de leche, so have been wondering what to make them into. I think this is the answer! YAY! These look delicious!! 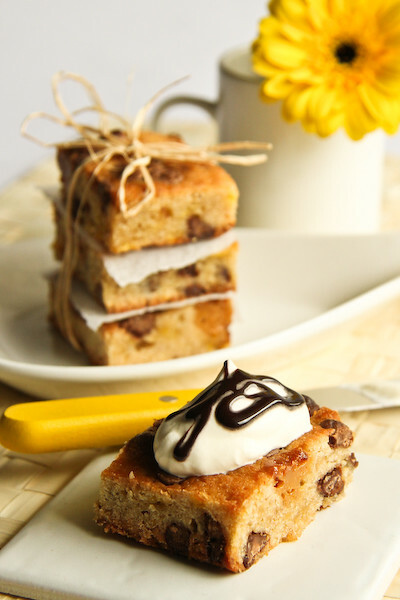 Blondies plus banoffee pie equals the best combination ever. Your pictures are lovely. Mmmmm these look awesome. So much goodness. I share your sentiments about food blogging and baking. I never have less than 2 blocks of butter in the fridge. These blondies look great. I would love to nibble on these whilst sitting in front of the computer. These look amazing!! Love the addition of dulce de leche!! 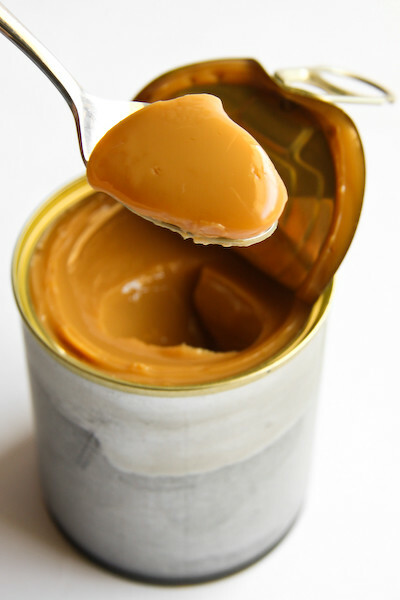 I could stare at dulce de leche all day. You're right about the expense, but your photos are so beautifully propified that I don't want you to stop. Keep spending! Hmm, but make sure you save money for ingredients. And maybe utilities as well I guess, if you must. Blogging has certainly taken a toll on my wallet but when I get to see amazing recipes like this and then, dare I say, BAKE them and EAT them. Man is it worth it. That dulce de leche looks amazing!! .. not a banana fan but damn those slices esp with the drizzled chocolate on top makes me drool! .. loving your pics too! I like the colour of your DDL. I always boil mine for 3 hours. Must try shorten it to 2.
they look SOOOOOOOOO amazing! 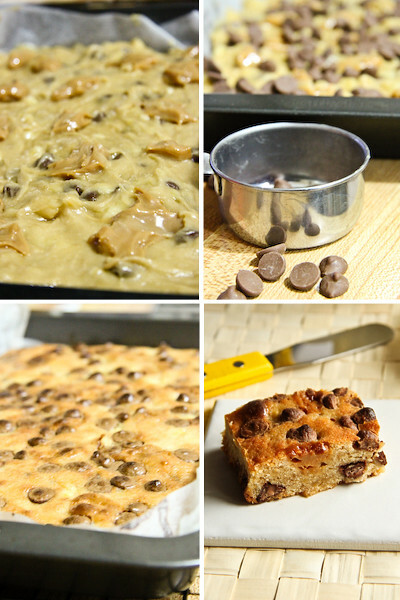 i've never made blondies cause people usually say they're just like a big cookie pan, not so exciting... but these definitely are worth a try! Awesome idea! These looks so yummy! Ohh these look so good! Your photo's always make me hungry. I am pleased that I am alone in sending the family broke with my prop purchases and ingredient lists. I now buy my flour in a 20kg bag and store it in a crate in the pantry!!! You had me at banoffee!!! My boyfriend loves banoffee so I am SO going to have to make these for him. 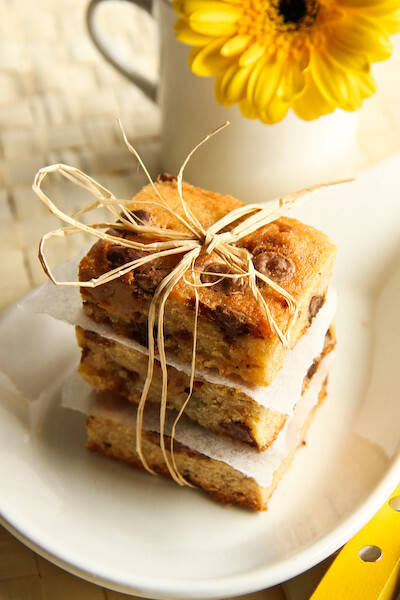 My Husband is gonna LOVE these blondies! Thanks for sharing. PS - I have a huge collection of crap that has only really developed since I started blogging too! These taste so great ! Thanks for sharing ! Your food styling photos are seriously inspirational and mega drool-worthy. I really love seeing what you've created, as it's always original and beautifully presented. Trissa - Haha I have developed a great self-control with my baked goods! No pigging out til there are photos! Lora - I know right? So satisfying getting rid of something that might have gone in the bin otherwise! Phuoc'n Delicious - Hahaha :) Yeah I couldnt resist! Simon @ the heart of food - Hahaha I guess you could! Thanks so much! Yep I find it's too dense straight out of the can, especially once it's been\ cooled! Jacq - :) Thank you! They were so moreish, I could have eaten the whole tray myself! Gummi Baby - Hahaha full slobber mode, love it! 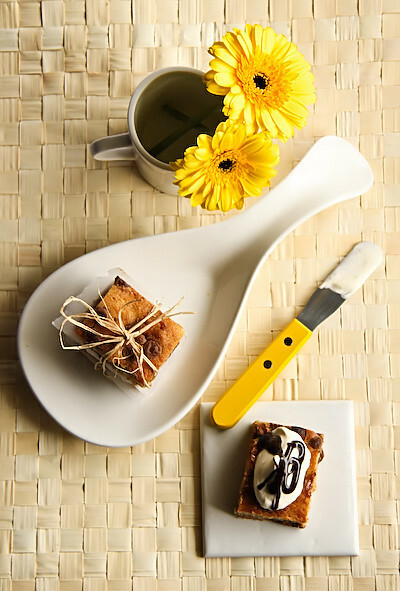 Celeste @ Berrytravels - Dulce de leche is awesome!! Hope you try them! Butter Hearts Sugar - Thanks! 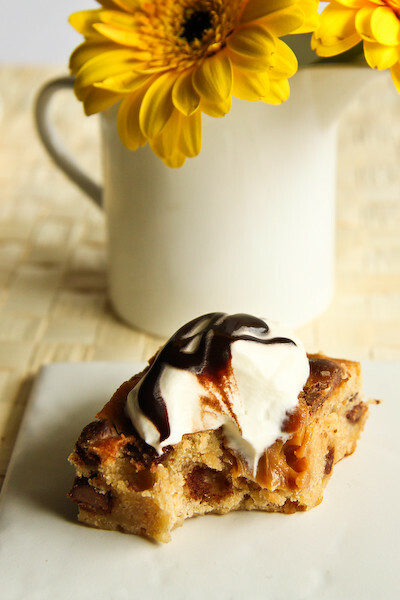 :) Banoffee pie is an old love of mine but blondies are new to me! I love them now! Conor @ Hold the Beef - Hahha mee too...except with a spoon...and eventually it would all be gone :P Aww thank you :) hehe i don't need any more encouragement to keep spending! But okay! Ellie (Almost Bourdain) - I used to do it for 3 but I found it was a little too sweet and a bit burnt on the bottom, and 2 hours seems just enough to make it golden! Adriana - :) They are a bit likea cookie pan but I love the flavour! Definitely worth it! whisk-kid - Thanks so much! Hahaha I tried to stop myself but I couldn't! Gourmet Getaway - Hehehe taking the photos makes me hungry! Oh yeah the bulk flour purchases are totally worth it! delicieux - Heehee :) I hope you do make them! Chele - You're very welcome! Hahaha I've had to make extra shelf space for all my crap! I made these last night to bring them to work for my birthday lunch and everyone (inc. myself and bf!) LOOOOOVED these! They asked for the recipe and I told them to h ave a look at your blog! :) Thank you for posting this!! I'll definitely be making lots more of these in the near future!! Clarissa- Yay! So glad everyone enjoyed them, this is definitely one of my favourite recipes and it's so good to get positive feedback!